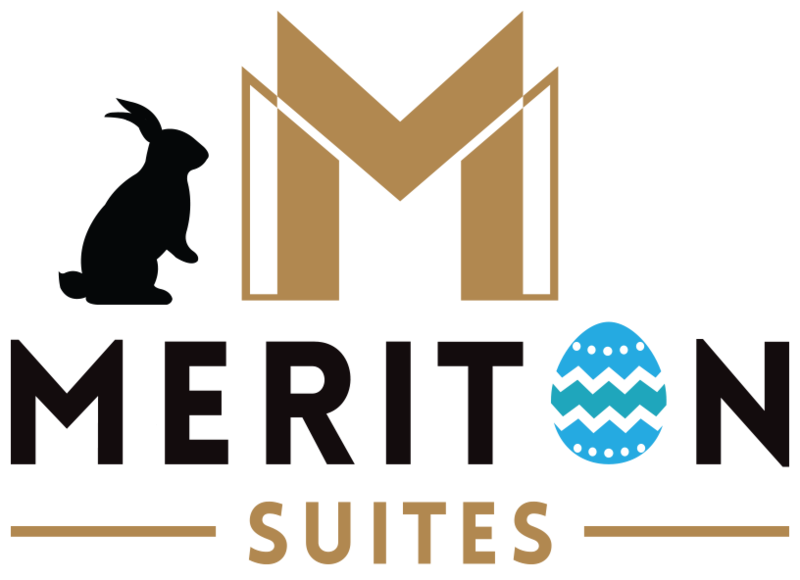 Meriton Suites continues to revitalise and reimagine their luxury services to accommodate the growing expectations of its guests in the Eastern Suburbs. Following the opening of a third low-rise tower which is home to 42 brand new rooms, the original two towers have just completed a full refurb of all rooms – including bedrooms, living areas, bathrooms and the inclusion of brand new kitchens to match a contemporary furniture package. 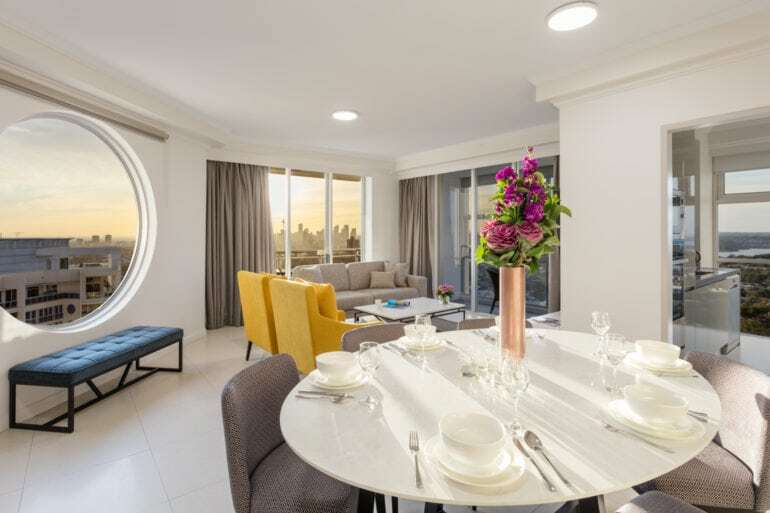 With the inclusion of the new tower, Meriton Suites Bondi Junction has grown to 375 brand new self-contained suites and continues to stand as the area’s largest accommodation option. Located over a major transit hub and directly opposite Westfield Bondi Junction, which is home to hundreds of retail and specialty stores, Meriton Suites Bondi Junction offers utmost convenience for its guests. “It’s clear that Bondi Junction is a prime destination for families and groups, who want to be close to the shopping and business epicentre, while not too far away from the beach,” said Matthew Thomas, Group General Manager of Meriton Suites. “We can attest to the ever-growing needs and standards of our guests, and having received such fantastic feedback both online and in person at our previously refurbished hotels, it is clear to see that our reimagined suites live up to those expectations” said Thomas. Meriton Suites’ range of suites are the perfect getaway option for a sought after staycation and with the completion of their latest refurbishment project, every brand new room offers luxury accommodation, designed carefully to reflect the relaxed beach vibes known to the famous Bondi. While the hotel ranges from oversized studio suites to a collection of luxury 3 bedroom Penthouse Suites, which are perfect for special occasions and families wanting to stay together, there is a perfect suite for every guest. Reserve the Harbourside Penthouse for an extra special touch to any memorable moment, with spectacular panoramic views across Sydney’s iconic city skyline and famous Harbour from the very top of the hotel. All suites are fully-equipped with oversized bedrooms, residential-size gourmet kitchens along with the essential utensils for a home cooked meal, modern furnishings including HD TVs in all bedrooms and internal laundries complete with washing machine and dryer for a comfortable stay. Access to an on-site fitness centre and recreational area is also offered, which includes an indoor heated lap pool, spa and sauna. All guests are kept connected with complimentary, unlimited high-speed Wi-Fi, found in all areas of the hotel including all suites, while all entertainment needs are also catered to with an extensive range of Foxtel channels available. The hotel also features an exclusive Australian hotel collaboration between KEVIN.MURPHY and Meriton Suites. The Repair-Me range is perfect for travelers on the go who need to recover and pamper, offering quality products that nourish and strength hair. Overlooking the vibrant precinct, Meriton Suites Bondi Junction also parades postcard perfect views of Sydney as well as the inviting blue ocean over the horizon from select suites. The area is also littered with trendy cafes and food-oriented streets, perfect for dining out, while Room Service powered by Deliveroo offers a variety of local eateries right to the suite door, ensuring utmost comfort within the sophisticated confines of your suite.